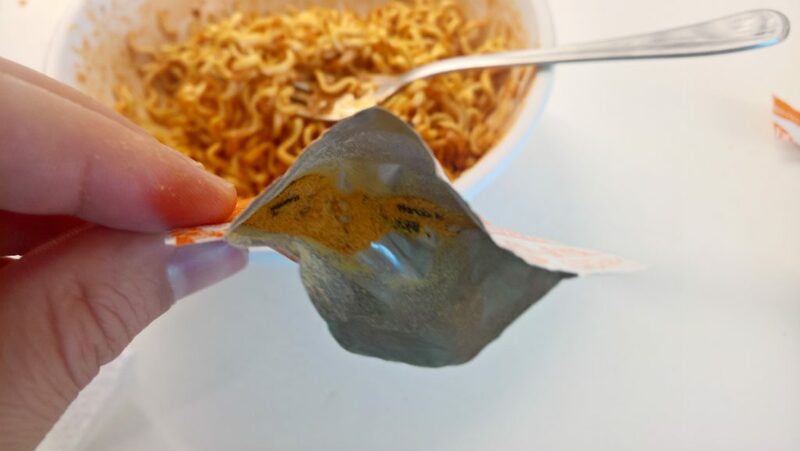 So, upon finding out about Steve’s Holiday, we got to talking about ramen labs last week. Much spitballing of ideas, many garbage plans but one thing lingered in out minds; “Mexican Ramen”. 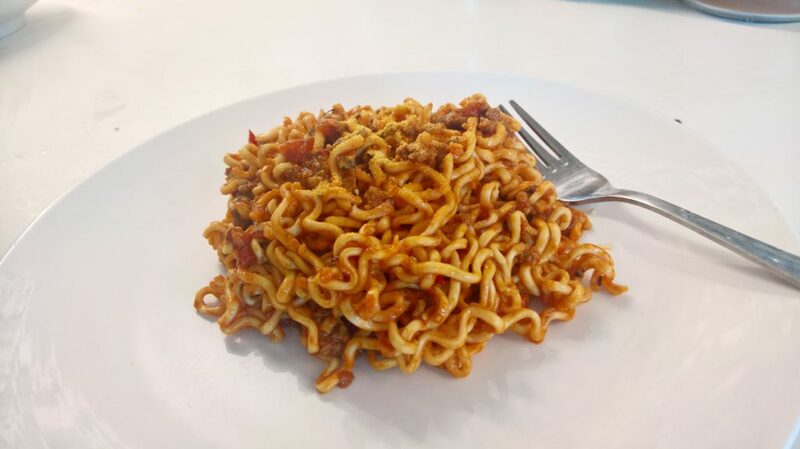 What if, we took some good ol’ fashioned TexMex Chilli and mixed it with ramen? 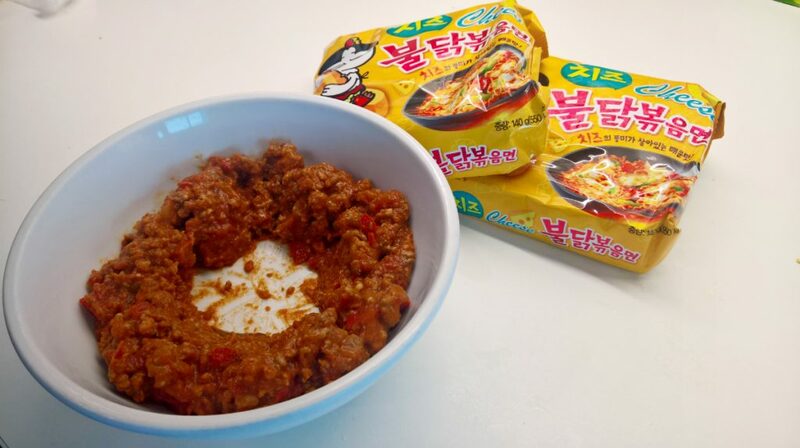 Better yet, What if we mix it with Cheese Fire Noods for that ultimate, Chilli Cheese Ramen Flavour! We had a dream, we formed the plan and it payed off, Kind of? STEP 1: Make some Chilli. Or Buy some. Whatever. Josh Made Some. 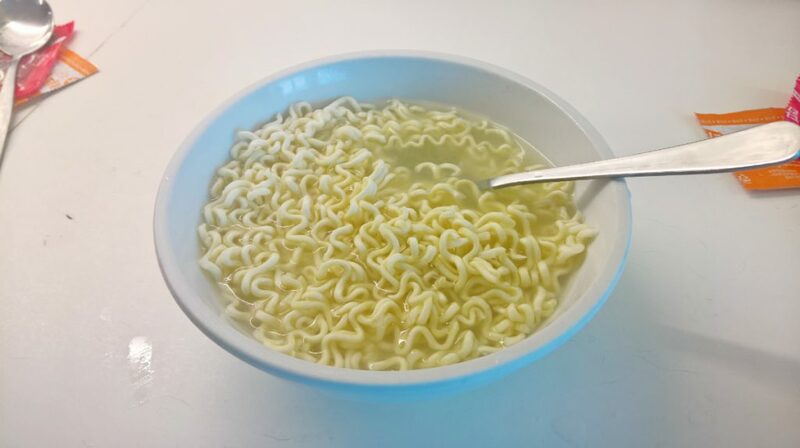 STEP 3: Cook your noods using your favourite method. 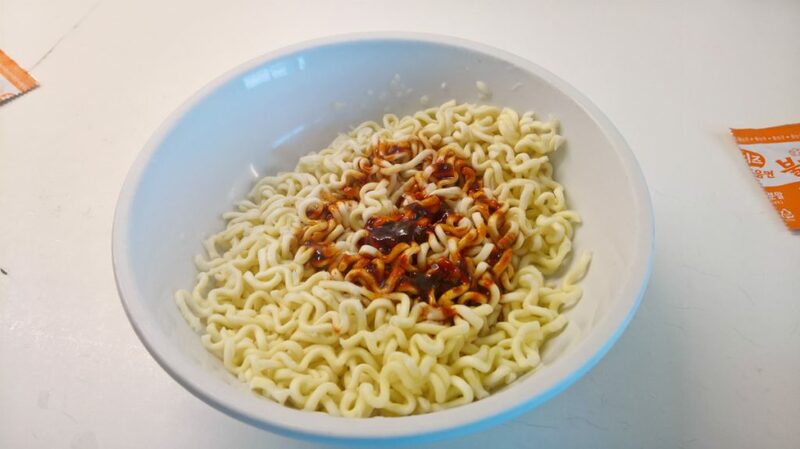 STEP 4: Drain your noods, add the sauce sachet, and Mix! STEP 5: Now add MOST (not all) of the cheese sachet and mix! STEP 6: Make sure you left about this much. 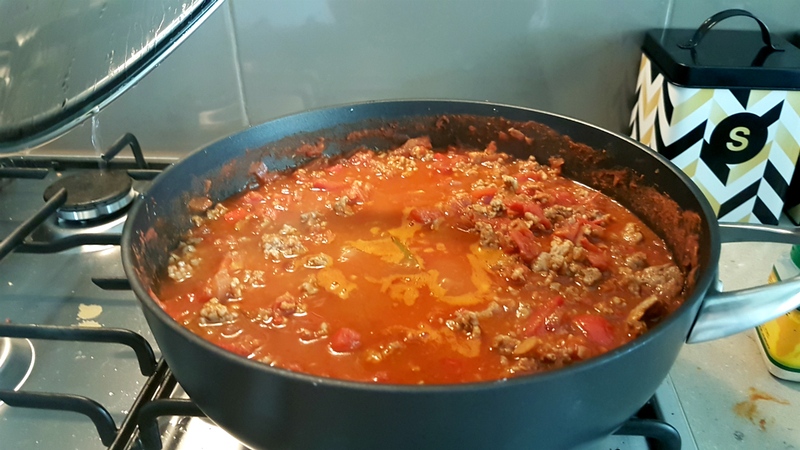 STEP 7: Add your Chilli. Now Mix again. STEP 8: Garnish with the remaining cheese powder and seaweed. Serve! It looks like spaghetti, it sort of tastes like spaghetti. Did we go through all that just to make a super spicy spaghetti? I enjoyed this probably more than any spaghetti I have had. 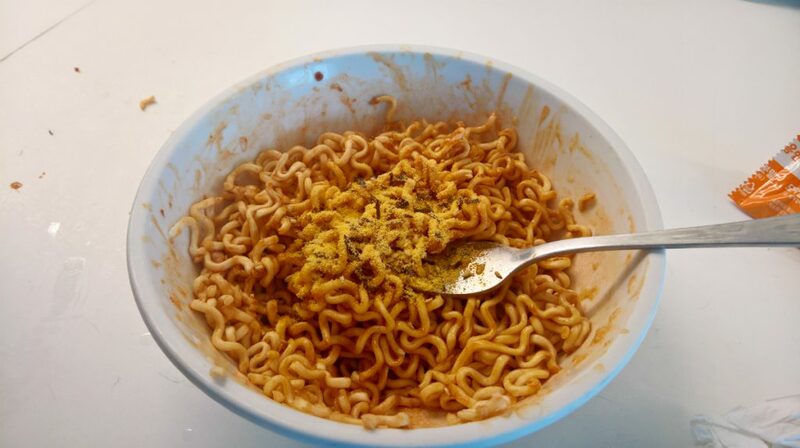 The slight undertones of Cumin, Chipotle, Habanero rounded out with tasty cheesy fire noods? Get-outta-here. My mistake in all of this was choosing peppers with more back end heat for my chili (Ghost chili and Habanero). The punch in the face heat of the cheesy fire, the back end heat of the chili, this just made for a spicy, spicy dish. The method in this madness was the fact that the flavours rounded each other out. The spicy tears were removed, the sting to the lip was minimized but the mouth sting and the throat tickle were quite pronounced. The Sweats were real, the heat was real but it wasn’t painful. It was very hot but just seemed so much more manageable. Kam – I actually thought this was pretty good! 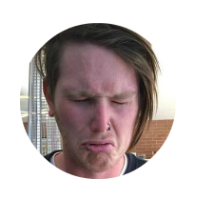 There was a fair amount of heat from Josh’s Chilli accentuating the Buldak’s overall fire-ness; much sweat but no tears. It’s like the Buldak and Chilli flavours were fighting each other in an epic struggle; but the winner was really the heat. 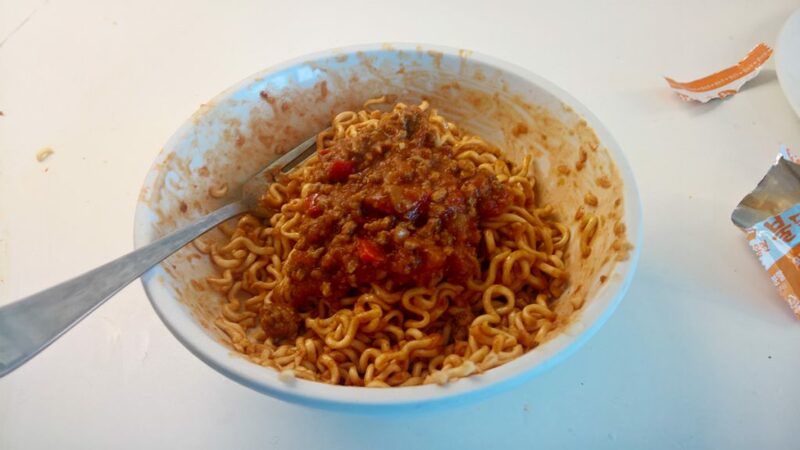 Strangely enough, the best way to describe this is to imagine eating a really spicy bowl of Spaghetti Bolognaise; we know the dish resembled the old spag-bol but I really wasn’t expecting it to taste like it. If you Got some chili and some cheesy fire noodles go for it! You won’t regret it. If you (like me) specifically made chili just for this, you may find yourself a little disappointed. It’s not bad, just not worth the 1-2 hour cook time for my regular chili. Kam – If you want to try this at home I say go for it! It’s not mind-blowing, but it’s not bad either.